Come Join us for the SUPER BOWL Sunday on February 3, 2019! 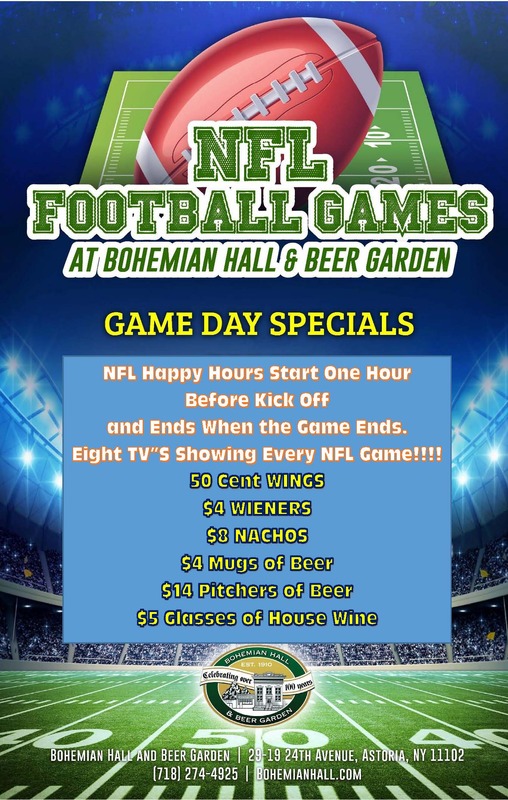 First Come First Serve BUT we will have additional (many) tables in the main hall and show the game on a large TV screen in addition to 8 TVs in the restaurant itself. SPECIALS start ONE HOUR before the Kick Off and last until the Game Ends.